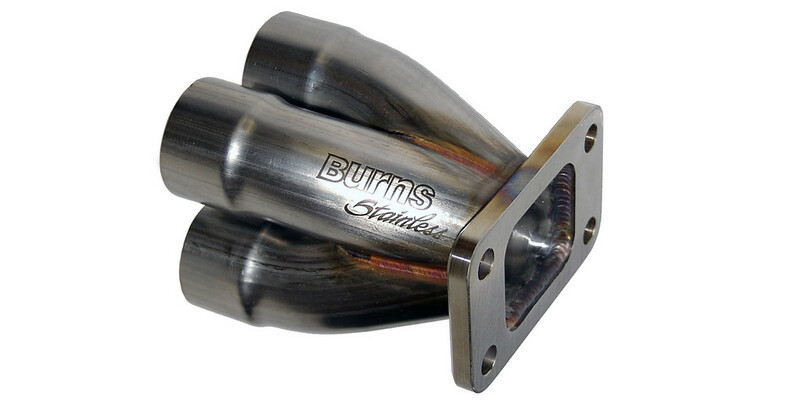 Burns Stainless has offered the Double Slip Turbo merge collectors for many years. 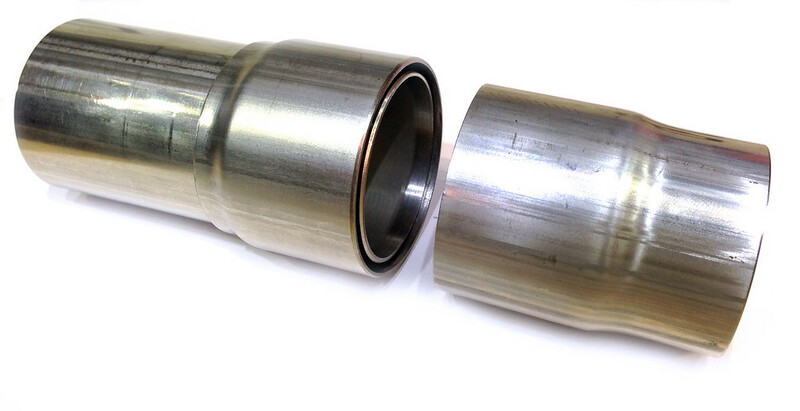 Of course the efficient merge design has helped them make maximum power, but also, the purpose-designed double slip joint has helped numerous customers avoid cracking in turbo exhaust manifolds due to thermal strain. Double-slip assemblies are now available for purchase online. Ranging in size from 1-1/4” OD to 5”, these double-slips can be strategically placed in the exhaust system to avoid the thermal stress and allow for disassembly. 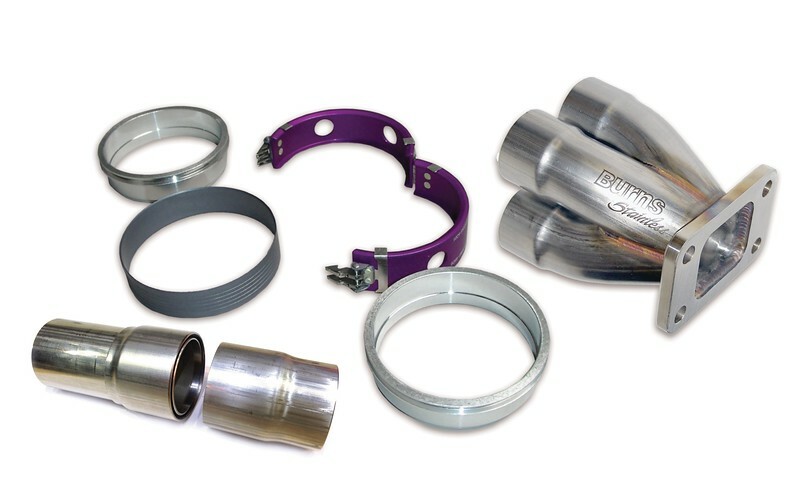 Burns Stainless also offers the race fabricator a wide variety of products for use in turbo applications including heavy duty lug-type tabs to provide extra holding power for turbo collectors, as well as turbo inlet and wastegate flanges. Also a wide variety of 6061 aluminum tubing and mandrel bends ranging in size between ¾” OD to 5” OD are available for intake and intercooler plumbing. 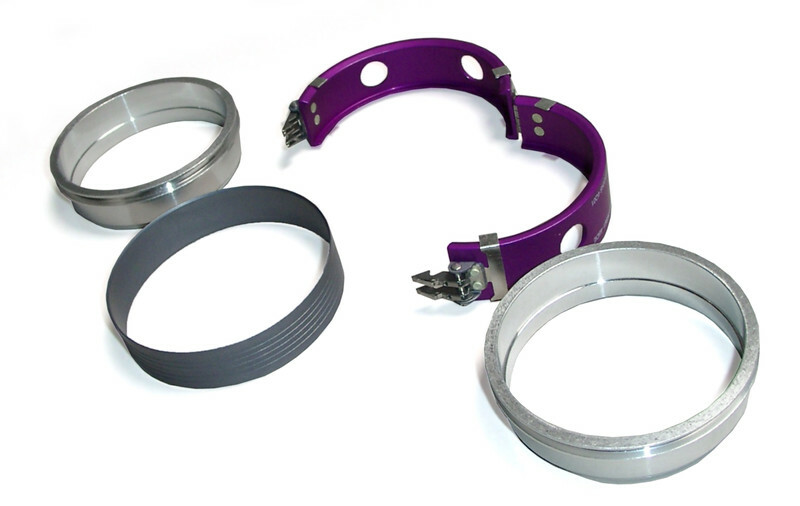 For joining tubes, we also carry silicone hose connectors, Adel-Wiggins Clamp Assemblies as well as aluminum V-band flanges with O-ring seals.